Earlier this year, we showed you the Anker PowerHouse, a device that packs a massive 120,000mAh battery. (No, that’s not a typo.) 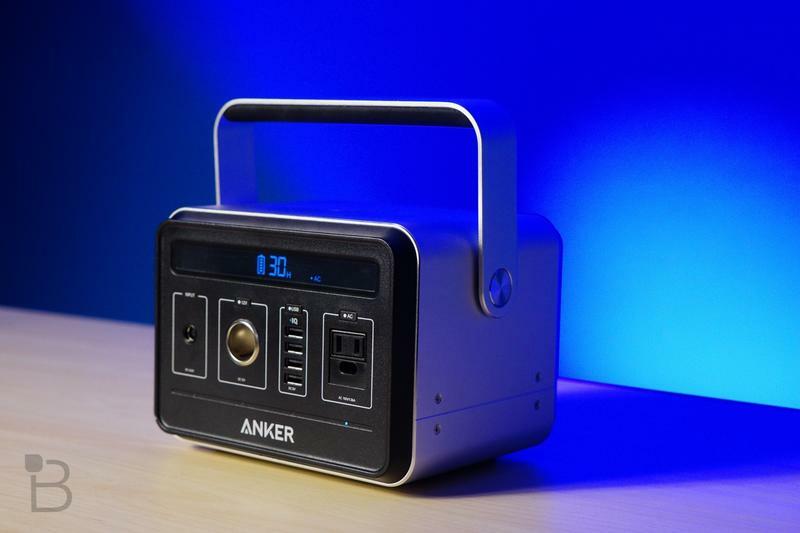 Now, we’re giving one away—along with some other Anker swag. 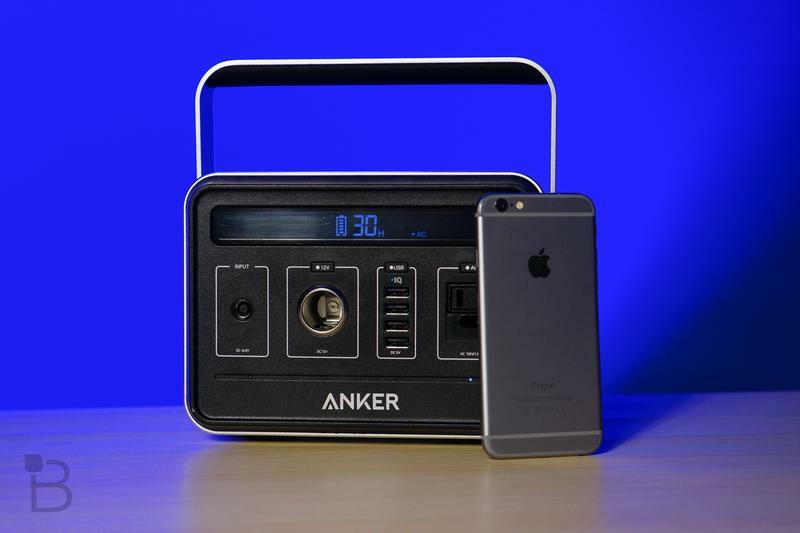 Consider this the ultimate Anker Giveaway Extraordinaire Deluxe Edition. You’ll never run out of portable power again. Practically speaking, nobody needs a 120,000mAh battery. But you also don’t not need one. 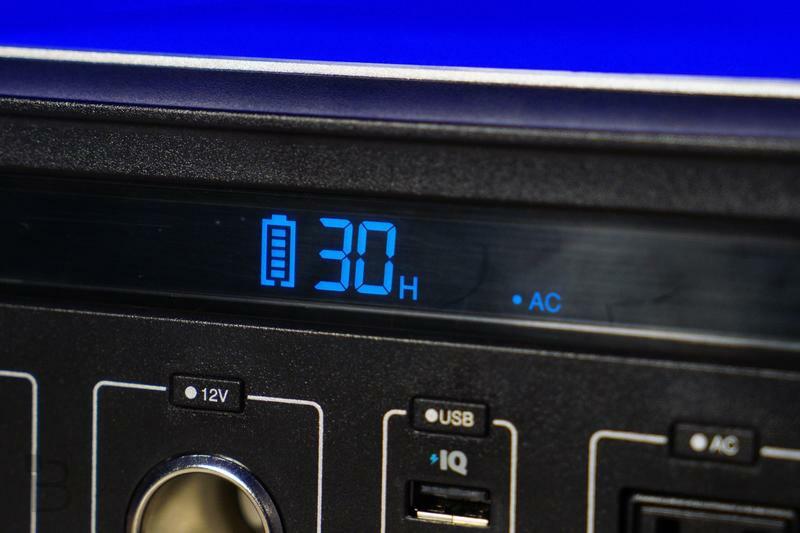 As the world’s smallest, most portable 400Wh power supply, the PowerHouse is a fantastic device because it can be used for a lot of situations. 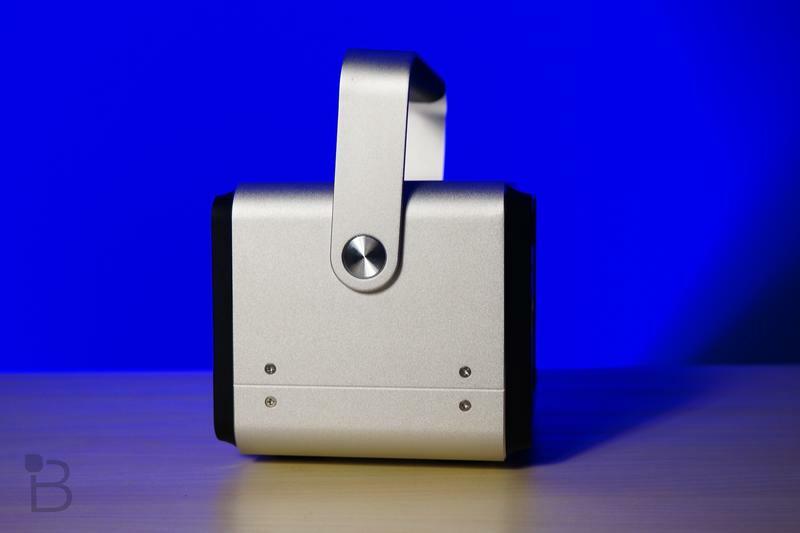 For example, it can charge your phone 24 times and your tablet ten. 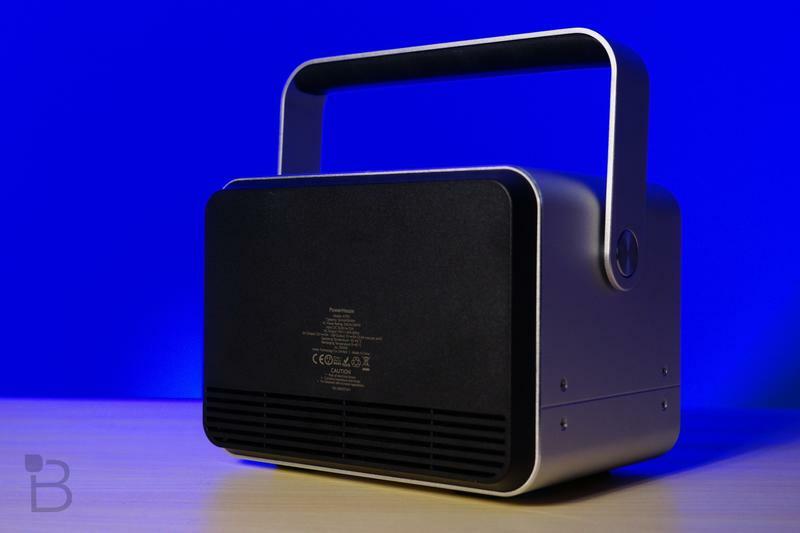 It can even power your mini fridge for over 7 hours. On the front, there are AC and DC inlets, along with four USB ports (with support for Anker’s IQ fast-charging technology). That means you can charge your mobile devices, laptop, and whatever else simultaneously. As a mobile solution for folks who work in the field, the PowerHouse is a phenomenally versatile tool. But that’s not why we’re so impressed by it. Anker has worked to outfit emergency responders all across the U.S. with PowerHouses, and it could prove crucial to saving lives. And that’s what makes the PowerHouse so great. Not only can it power your gadgets, but it’s great for medical machinery, emergency situations, and, in particular, when the power goes out. With winter on the horizon, the PowerHouse should make for the perfect companion when power inevitably goes out. 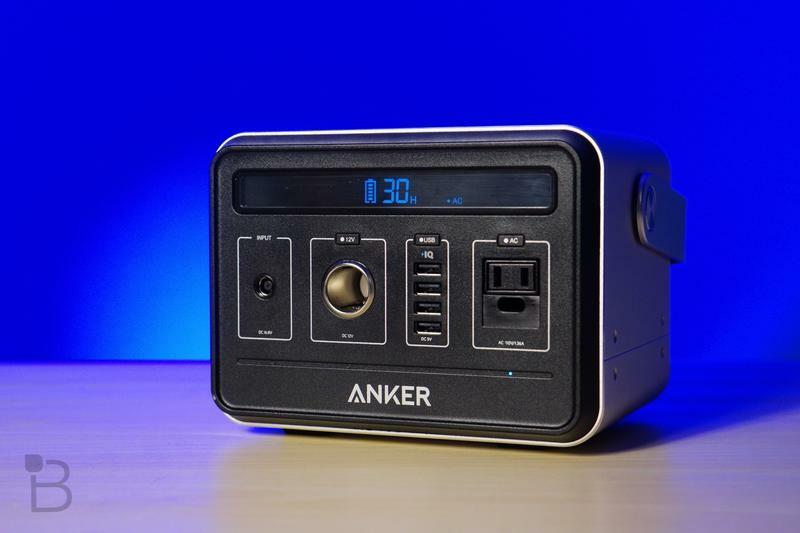 And Anker guarantees safety; the PowerHouse comes with a Battery Management System that undertakes voltage control, temperature control, and other safety operations, ensuring you stay protected (and powered). The giveaway is available to anyone in the world, so fear not if you live in a remote tundra with no cell reception. The Anker PowerHouse really is a great device, particularly for areas consistently battered by Mother Nature. In addition to the PowerHouse, we’re also giving away the Anker PowerPort Speed 2 wall charger, Anker PowerLine+ Lightning Cable (6ft), and Anker PowerCore Speed 10000. If you win, you’ll be powered for days. To enter, all you need to do is sign in with your credentials in the box below and complete as few or as many of the tasks you choose. Each one will reward you with additional entries in the contest. In other words, the more actions you complete, the better your chances are of winning! And don’t forget to come back every day to send out a tweet or click on the daily bonus entries. The giveaway will be open beginning today (Nov. 14) and will run for ten days, ending on Nov. 24. Contest runs through 11:59 PM PDT on Thursday, Nov. 24, 2016. The winner will receive an Anker PowerHouse, Anker PowerPort Speed 2 wall charger, Anker PowerLine+ Lightning Cable (6ft), and Anker PowerCore Speed 10000. Good luck! If you don’t win this week, don’t fret! Check the TechnoBuffalo Giveaways page each week to see other giveaways.